FCS 5009 "Don Miguel G and Don Rodolfo M"
Home › Crew Supply Vessel › Fast Crew Supplier › Fast Crew Supplier 5009 › Fast Crew Supplier 5009 "Don Miguel G and Don Rodolfo M"
Fast Crew Supplier 5009 "Don Miguel G and Don Rodolfo M"
On Tuesday July 14th, Damen Shipyards handed over two FCS 5009’s to Naviera Integral, Mexico. These vessels are already number 13 and 14 in the successful Axe bow-line for this client. Both vessels will operate out of Ciudad del Carmen, under direct contract of PEMEX. 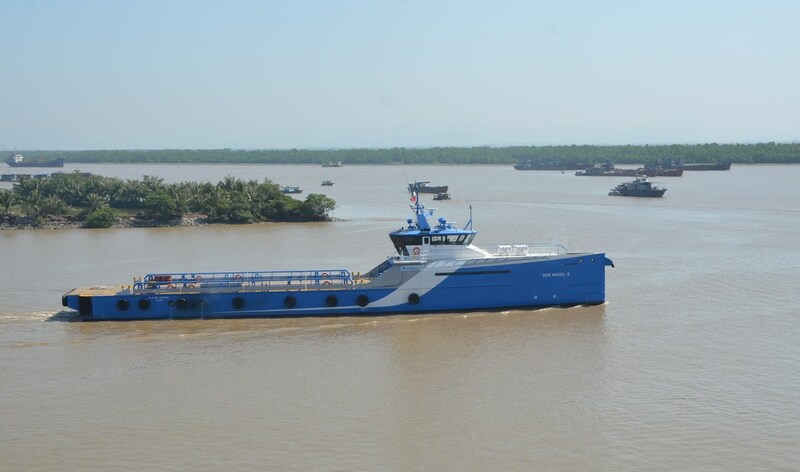 The handing over took place at 189 Shipyard in Haiphong, Vietnam, under supervision of Ing. Julio Montelongo of Naviera Integral and Mr. Ton Roefs and Mr. Theo Dijk of Damen Shipyards. 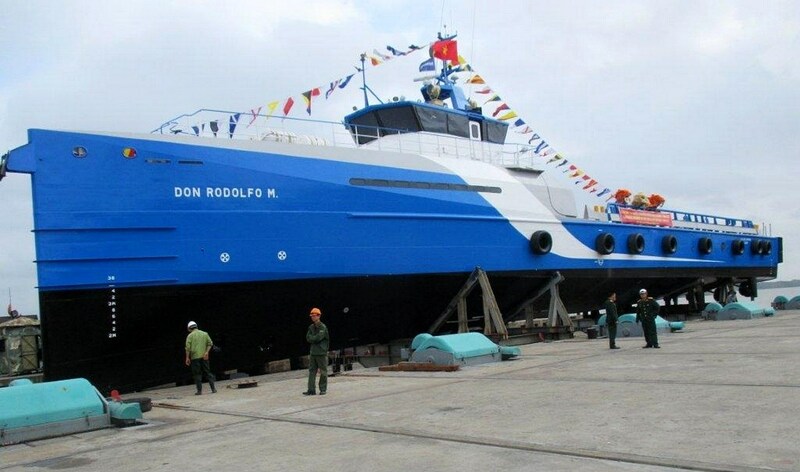 Both vessels are expected to arrive in Mexico in September of this year.